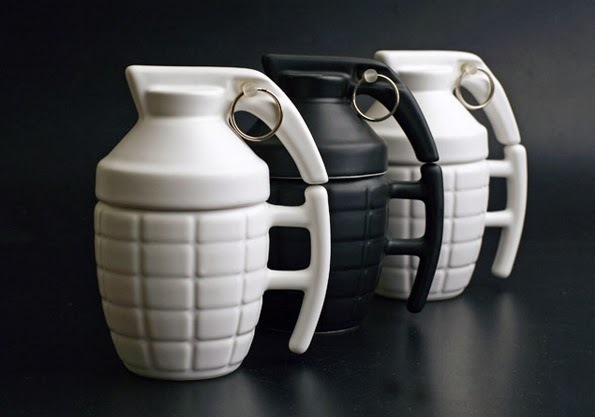 Security Memetics: Tactical coffee mug? This is an actual thing that you can buy. I'm not sure if this would help scare pesky people away from your cubicle at work, but if inflatable tanks fooled Hitler then who knows?